1 tennis balls | This Blog Rules | Why go elsewhere? Dubai has always surprised the world with its amazingly tall buildings and wondrous constructions. Most of you have probably seen the Burj Al Arab; it’s the world’s most luxurious hotel and is noticeably shaped like the sail of a ship. 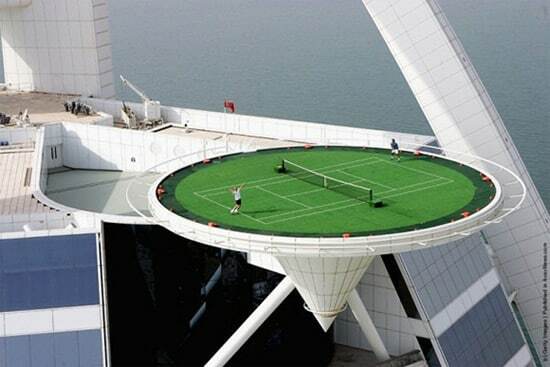 Well, did you know that situated atop this glorious building is a tennis court?